"Discrimination is a horrible reality. People are afraid of what they don't understand." This was a really fun read. Out of everything, including the plot, characters, and romantic development between Addie and Cael, my favorite thing about this story was the setting. From the first chapter, everything felt so vivid. The town and the surroundings were very eerie, very atmospheric. The author did a great job at creating an unsettling mood throughout. I always felt what Addie was feeling--uncertainty and the general sense that something was just off. It's hard to leave a review about this book without sharing any spoilers, so I'll just say that the concept was interesting and was a nice change from a lot of paranormal romance stories out there right now. 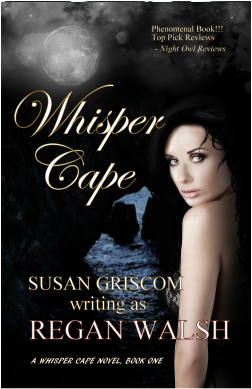 If you enjoy paranormal romance but would like a break from vamps and werewolves, Whisper Cape is a mysterious, engaging, romantic read.